The company was originally established in 1761 when a carpenter by the name of Kaspar Faber (1730-1784) opened a small pencil factory in the town of Stein, Germany. The business was named "A.W. Faber" after his son, Anton Wilhelm Faber (1758-1819). 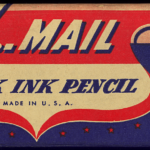 After his father’s death, Anton grew the company into a flourishing pencil manufacturer. In 1906, the heiress to the Faber castle married a Castell and the newly united A.W. Faber-Castell soon began producing a high-quality line of “Castell” drawing and copying pencils. The company has its headquarters in Stein to this day, now operating under the name Faber-Castell with 8,000 employees worldwide.